Spitzer Chrysler Dodge Jeep Ram Cleveland is proud to offer drivers in the greater Cleveland, Ohio area incredible Jeep SUV specials during the Jeep Celebration Event! Visit us today to celebrate some of the best deals of the year on top-rated Jeep models+, and get an additional $500 Jeep Celebration Bonus Cash on select 2018 Jeep vehicles+. Give us a call today with any questions! 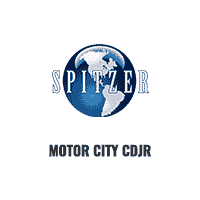 At Spitzer Chrysler Dodge Jeep Ram Cleveland near Cleveland, OH we’re here to get you in the driver’s seat of an SUV that matches your lifestyle. That means exploring our lot for different types of vehicles like the iconic Jeep Wrangler, or the spacious and luxury-inspired Jeep Grand Cherokee. You can also find something new like the Jeep Renegade or Jeep Compass, a pair of more compact SUVs that move away from traditional Jeep SUV designs without sacrificing Best-in-Class off-road capabilities. See more of our Jeep lineup and schedule a test drive today by taking a quick trip down to Spitzer Chrysler Dodge Jeep Ram Cleveland. When it’s time to buy a new Jeep, Spitzer Chrysler Dodge Jeep Ram Cleveland near Cleveland, OH is here to make it happen. Not only will we work with you and your budget, but we’ll help estimate the trade-in value of your current vehicle and ensure you get a great loan rate by working with your credit history. Contact our automotive finance center today to get the process started and learn more about saving big during the Jeep Celebration Event.